Lukewarm karstic water containing calcium, magnesium and hydrogen-carbonate. 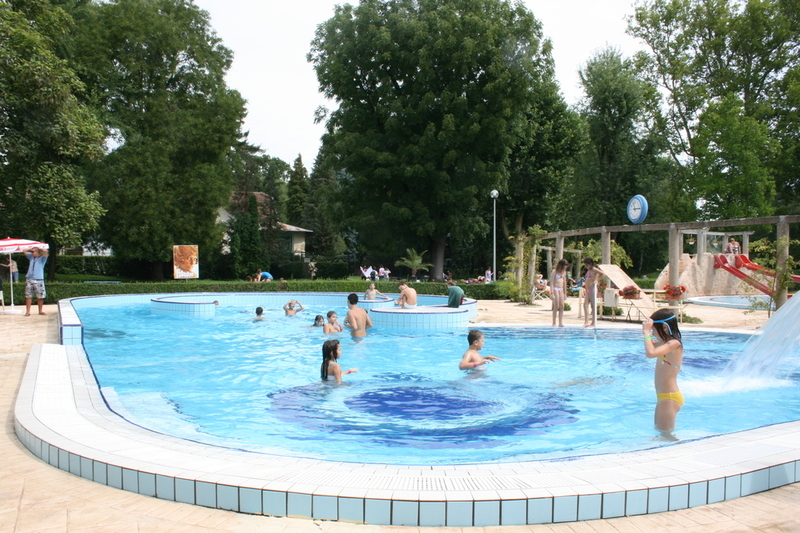 The open-air bath was established in 1935 o n the bank of the Danube river, o n the basis of plans made by Alfred Hajós. The three pools situated among rose bowers ensure bathing, tanning and pleasant recreation facilities for all age groups. Its green area covered by spreading trees provides leisure and refreshment for its guests.